Dental sealants are protective coatings, generally applied to children’s permanent teeth, which have been shown to reduce tooth decay by 60 percent. Last month, the Children’s Dental Health Project released a report on school-based sealant programs that examined the challenges states face in trying to reach more children who are at high risk of decay. 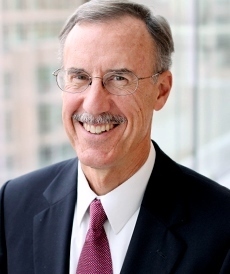 In this guest blog post, Dr. Bill Maas, a dentist and former director of the CDC’s Division of Oral Health, explores some additional challenges that states face. Public schools are under increasing pressure to raise achievement levels, especially for low-income children. Given the spotlight they are under, it shouldn’t surprise us that many schools are reluctant to open their doors to sealant programs or other activities that encroach on classroom learning time. Indeed, I have heard this concern from my wife, who teaches in a county school system that has yet to implement any school sealant programs (SSPs). The recent CDHP report examined the considerable success that many states have had in improving access to dental sealants for the kids most at risk of tooth decay. However, no single report can thoroughly analyze the wide range of challenges that SSPs face — and the barriers often posed by school officials is one example. What seems so obvious to me (the need for these programs) is not obvious to my wife, and vice versa. From her vantage point, schools must protect the limited time they have for classroom instruction. We in the oral health community need to be mindful of this concern, and admit that even many programs that are financially sustainable have not had to demonstrate effectiveness, efficiency, or the ability to serve the children likely to benefit most from the services. New sealant programs may face school systems and public agencies with higher expectations than long-standing programs once did. The CDHP report notes that national guidelines for the design and operation of SSPs are now over 20 years old and do not fully reflect the considerable experience that has been gained across a wide landscape of local social and political environments, as well as advances in scientific understanding of dental caries and sealant materials, and related policy changes. New SSP initiatives often face resistance from both school officials and community dentists, and the ability of state and local health officials to overcome this would be strengthened by updated guidelines. This update was included in CDHP’s “call to action,” which proposed that lessons learned be translated into guidance for practice, by convening workgroups comprised of sealant program experts, public health leaders, dental professionals, school officials, and policymakers. By raising awareness of this oral health-learning link and by demonstrating they are following updated guidance for program effectiveness and efficiency, SSPs can win the hearts and minds of school officials. The need for updated guidance is not based on a “wouldn’t it be nice to be more current” preference. It is essential if we are to make further progress and persuade school administrators who might otherwise say “no” to SSPs. Needless to say, there’s plenty of room for progress. While some states have had great success in reaching many children, others have not. The most recent national survey found that only half of adolescents (ages 13-15) had received even one sealant. Falling Short, Pew’s 2013 sealant report, reported that 35 states and the District of Columbia lack sealant programs in a majority of high-need schools — those with a high proportion of children most at risk of decay. We know that toothaches and other dental problems are a significant factor in student absences and academic performance. By raising awareness of this oral health-learning link and by demonstrating they are following updated guidance for program effectiveness and efficiency, SSPs can win the hearts and minds of school officials. Even longstanding SSPs that are already serving all high-need schools in their community should not justify their practices and policies on the single criterion that they have demonstrated sustainability. Equally important is the expectation that every school sealant program should be operated as a “public health program” — using appropriate protocols and collecting sufficient data to demonstrate that it is an effective steward of public dollars. I believe they are all public health programs, regardless of the entity that employs the dental clinicians to provide the services. Why? For many good reasons, school administrators only grant access to a single SSP. As a result, that entity has a monopoly, and every family whose child is enrolled in the school depends upon that single program to achieve the best outcome, as measured both at the level of individual child and the community. My belief that all SSPs are public health programs — and that updated guidance will offer an appropriately high standard for them — motivates me to raise several issues for your consideration. My next blog post will address the topic of informed consent and the goal of reaching the children most likely to benefit from school sealant programs.